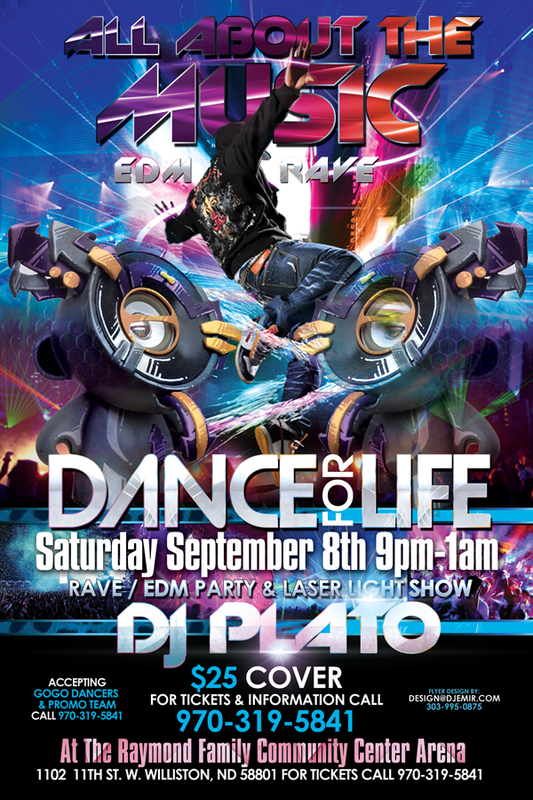 Saturday September 8th 2012 EDM Concert / Rave Party and Laser Light Show at the Raymond Community Center in Williston North Dakota 9pm-1am. $25 to get in. 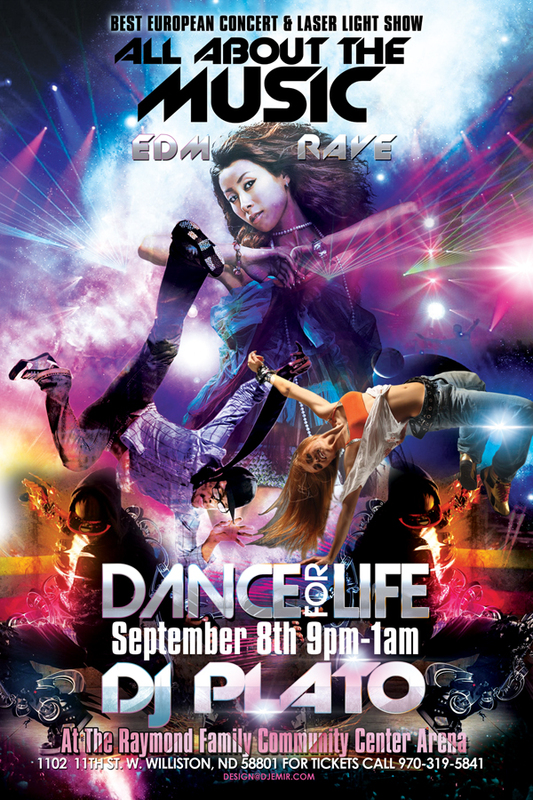 This is an All Ages Party, everyone is welcome to attend.